Who would have guessed Psycho Suzi's would have the best Pizza and onion rings anywhere in the Twin Cities ? A tiki bar with my name on it, this restaurant is housed in an old A&W Root Beer stand. So much for me being good the day before Thanksgiving. Vacation – the all time favorite excuse for cheating in the middle of the week. A girl has got to have some fun you know! Got to leave your shoes at the door and not worry about your petty concerns of authenticity… they are irrelevant according to Psycho Suzi. 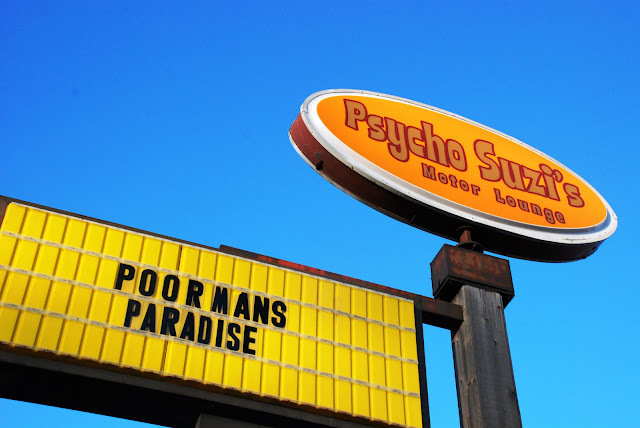 Psycho Suzi’s is at 2519 Marshall Street NE, Minneapolis. My brother Tim was a bartender at Stand-Up Frank’s when it was in its prime. No chairs, no tables, no nothing except a bar with a couple stools, a back bar and one big empty room for drinking… and it was always packed especially when my little sister use to go over with the crowd from St. Kate’s. The drinks would curl or straighten your hair…mine was stronger than tar and the place still smells the same despite the new plush carpeting and the booths. 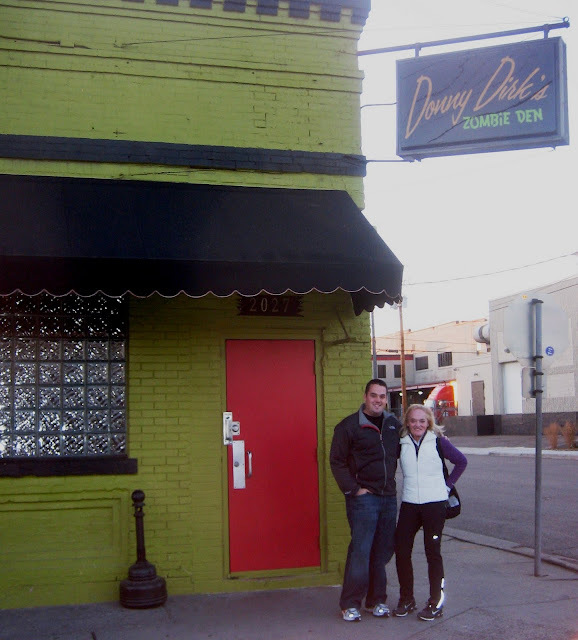 Whatever…we love Stand-Up Franks and the new name is Donny Dirk's Zombie Bar. You can relive a memorable moment at 2nd St North or establish a new one that you will talk about years from now. The atmosphere is still the same with a few new twists. I’ll be there again if nothing else just to remember my brother Tim behind the bar pouring Schnapps on St. Patrick’s Day. Always had his Irish up especially at 6 AM! Breakfast…Hashbrowns To Write Home About! Kerryman – Have I Gone To Burger Heaven? A Sandwich Is Just A Sandwich – Or Is It? There Is Magic In His Pot - Alchemy or Cooking? Weekend Bad = Gerhards Good.